Jared and Holly were at a crossroads in their 5 year marriage. Holly had gotten a call from her daughter’s high school guidance counselor that the 16-year-old had been caught with drugs and had been suspended. It was a crisis for their family but also had ballooned into a huge relationship crisis between Jared and Holly. Jared didn’t have the best relationship with his step-daughter anyway and that had caused problems in the past between Holly and him–but tensions were so high right now that he found he couldn’t say anything to Holly without her biting his head off. They were so much at odds with each other that they didn’t know if their marriage could survive it. 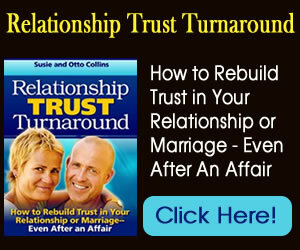 A relationship crisis is often a turning point in a relationship but it doesn’t have to end it. In times of great stress and upheaval, most of us are constantly in “fight or flight” mode, with emotions running high and close to the surface. We don’t give ourselves permission to allow a moment of calm because somehow we think we shouldn’t or can’t find one. That thinking isn’t true or helpful. But what is true is that even a few moments of calm can clear your mind so that you can make sound decisions moving forward. Moments of calm can come in the shower, walking in nature, or absorbing yourself in something you love. They come from within you when you’ve given yourself permission to experience a calmer state of mind. Jared realized that he had been in a high state of stress and that wasn’t helping Holly or her daughter. When he gave himself permission to calm down, he felt like going for a run that he hadn’t done in awhile. Even feeling calmer for a few moments was better than not having those moments. When emotions are high, it’s so tempting to repeatedly go over all the “what ifs” which always focus on the worst that can happen. We’re not saying to shut a blind eye to your situation but we are saying that focusing on “what is” without the story you attach to it will help you see clearly your next step. Both Jared and Holly had jumped to a lot of conclusions about Holly’s daughter and her drug usage. They imagined all sorts of horrible scenarios which kept them in a state of high emotional stress. When you’re caught up in your thinking, the facts of the situation and the solution aren’t available to you. When you allow your thinking to slow down, you will see something new. You’ll see what’s there to be dealt with and any possible solutions. When Jared and Holly slowed down and were calmer, they decided that Holly would first talk with her daughter alone, making sure she knew she was loved. Holly allowed herself let go of her anger and to fall into a heart space where she could listen to her daughter because she really wanted to understand what happened. In a relationship crisis, your thinking has you putting each other on opposite sides which is never a path to allowing a solution to surface. 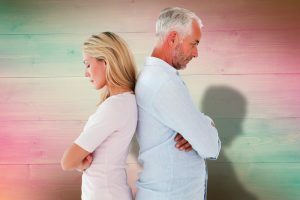 Habitual patterns get really strong in a relationship crisis and it’s helpful to be conscious of them if they’ve set yourself and the other up as enemies. If you’re someone who is a pleaser, this is helpful to know. If you’re someone who is used to taking charge, this may not be needed or appropriate in the moment. Jared’s tendency was always to take charge when something came up that he thought needed to be fixed and this situation was no exception. But he also realized that he loved Holly and would trust her to be there for her daughter in a way he might not have been. He also realized that maybe some of the tension between him and Holly’s daughter came as a result of him thinking he had to “fix” her and she had to do it his way. When he saw that, he was able to step back and let Holly know he had her back but he could allow her to handle it in that moment. When you see that this crisis will pass, you can rest in that knowing. It may mean you are guided to do nothing in the moment or it might mean that you take action. You don’t have to see any further than putting one foot in front of the other. When Holly listened to her daughter she found out she’d been bullied all year and the drugs found in her locker seemed like a way to fit in. Although her daughter had experimented with pills, she knew it wasn’t the path she wanted to keep going down. Holly was able to relatively calmly explore possible solutions with Jared and they decided that the next step would be to talk with the guidance counselor at school about the bullying with Holly’s daughter’s permission. They also explored counselors specializing in teen drug usage. When Holly and Jared remembered they were on the same “team” and loved each other, it made it a lot easier to listen to ideas and take the next steps to resolve the crisis. 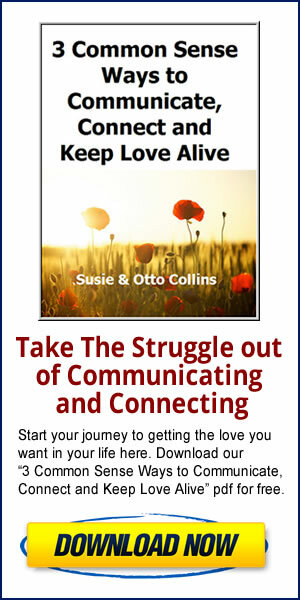 At various times in our lives, we all experience what might be called a relationship crisis. It’s how you move through it that determines whether love gets stronger or tears it apart.